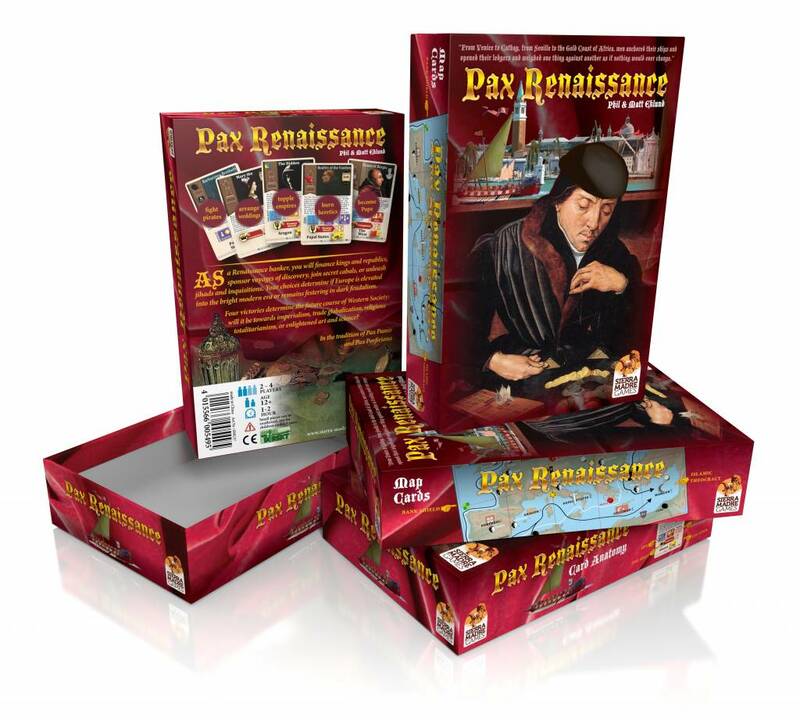 Pax Renaissance is a cardgame (English language) for 2 to 4 players who play as bankers in Europe, 1460-1530. As a Renaissance banker, you will finance kings or republics, sponsor voyages of discovery, join secret cabals, or unleash jihads and inquisitions. Your choices determine if Europe is elevated into the bright modern era or remains festering in dark feudalism. Four victories determine the future course of Western Society: will it be towards imperialism, trade globalization, religious totalitarianism, or enlightened art and science? 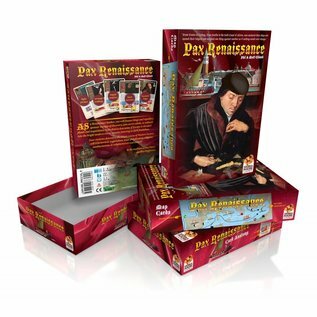 Ranked in the top 2000 games by BoardGameGeek. What is a "paxgame"? Everyone knows what a wargame is: players assume Napoleon-like roles representing nations and maneuvering pawns across a mapfield. In a "paxgame", the players ARE the pawns.